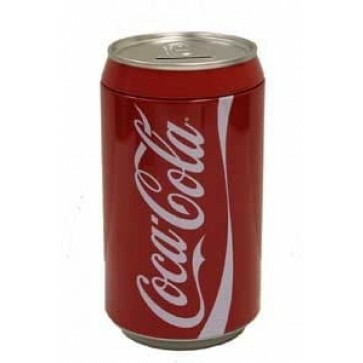 Classic Coca-Cola can-shaped tin bank. Save your shekels for rainy days and Coca-Colas. Galvanized tin bank shaped like a jumbo Coke can. Wow. Size: 4-1/4 Dia. x 7-3/4"H.